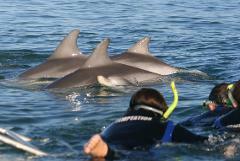 Dolphins are one of the Earth’s most fascinating and curious creatures and Temptation offers you this amazing opportunity to swim with them, something that you will remember forever. Dolphins are one of the Earth’s most fascinating and curious creatures and Temptation offers you this amazing opportunity to get up close to them, something that you will remember forever. 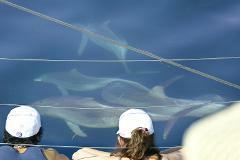 During the cruise you have a good chance seeing dolphins frolicking around the hulls. A fully licensed bar is open during the cruise. 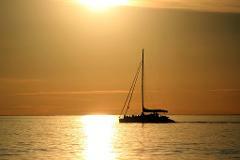 1½hr coastal sailing cruise along the beautiful Adelaide shoreline. A fully licensed bar is open during the cruise. Have you got a special event coming up or just looking for something unique and exciting to do? 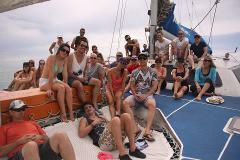 How about join Temptation Sailing the first Sunday of the month between November and March AFTERNOON TEA Cruise.